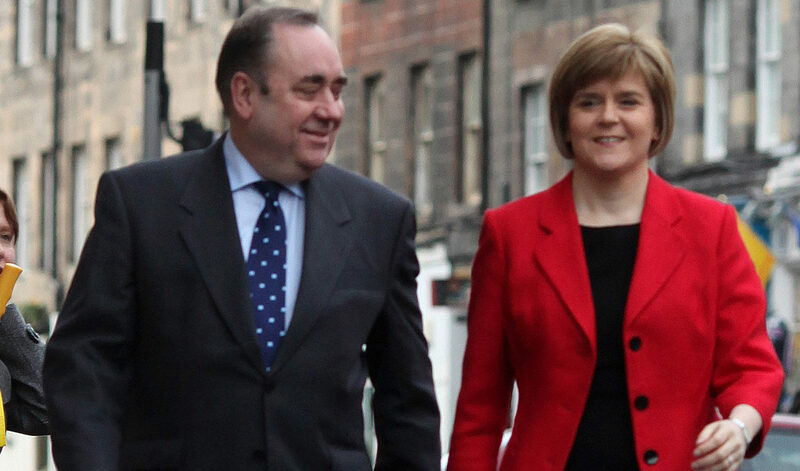 NICOLA STURGEON has days to refer her controversial meetings with Alex Salmond to standards watchdogs or MSPs will attempt to force an inquiry. The First Minister is under increasing pressure after admitting she had three meetings and two phone calls with her predecessor during a Scottish Government inquiry into his alleged sexual harassment of two civil servants. She insists she had no influence in the probe, which was thrown out by a judge last week after the Scottish Government spent an estimated £500,000 on legal costs. Leading lawyers and HR professionals yesterday said the errors made in setting up the inquiry were so fundamental that the legal case was always unwinnable. Meanwhile, Labour and Conservatives MSPs have called for a parliamentary inquiry into the First Minister’s meetings with Mr Salmond. The Scottish Liberal Democrats and Scottish Greens are yet to back the move. All four opposition MSPs on the Parliamentary Bureau – which also includes an SNP MSP – must agree to order an inquiry and discussions are taking place ahead of a meeting of the committee on Tuesday morning. Mr Salmond, who is also facing a police inquiry into the allegations, first met Ms Sturgeon at her home in a meeting set up by her chief of staff Liz Lloyd, who also attended the meeting in April last year. Opponents have said the First Minister must be investigated over whether she breached the ministerial code, which states that the “basic facts” of a meeting discussing government business must be recorded. They say she is insulting the intelligence of voters by suggesting the meetings were SNP business. Scottish Labour Leader Richard Leonard said: “No one really believes the First Minister’s repeated claims that these were not Scottish Government meetings and we don’t accept her attempts to face both ways. Scottish Conservative MSP Annie Wells said: “This week’s revelations have only strengthened the need for a Scottish Parliament inquiry into this fiasco. Only Ms Sturgeon can refer herself for investigation by the standards watchdog – she cannot be referred by another MSP – so opposition parties are trying to reach an agreement on whether to order a parliamentary inquiry. The Parliamentary Bureau could refer her to a Holyrood committee or set up one to carry out the investigation. The Scottish Government’s investigation into Mr Salmond, who denies the allegations of sexual harassment, was ruled “unlawful” and “tainted by apparent bias” by Judge Lord Pentland at the Court of Session last week because the civil servant tasked with leading the probe had previous contact with the complainants. A spokesman for Mr Salmond said yesterday he was yet to be interviewed by police over the allegations. A Scottish Government spokesman said: “As the First Minister has set out categorically to Parliament she did not intervene in the Scottish Government inquiry at any point.